Princess 42 Second Version ! First years on the Leman Lake! Register with Boatshed to see 35 extra photos of this Princess 42 Second Version ! 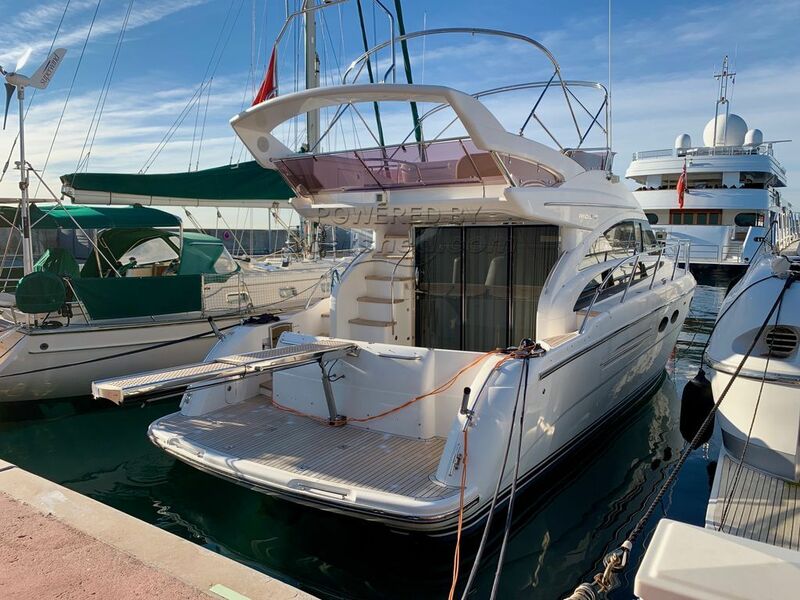 Space is the dominant note throughout the Princess 42: two comfortable cabins with private bathrooms, an elegant lounge and a functional kitchen. The convertible sofa in the living room offers additional beds, the sliding glass door opens on the cockpit to form a privileged place for outdoor dinners. There is a leasing to take over. This Princess 42 Second Version ! has been personally photographed and viewed by Antoine Perrin Daragon of Boatshed Riviera. Click here for contact details.